Stop procrastinating – get the car you desire most! No matter where in the world you live, Phil Newey Sports Cars will always deliver. With our business conveniently located 40 minutes from the Port of Long Beach and all major shipping companies, we make sure all your cars are shipped promptly. Call 562-691-1109 for a fast and easy sell or visit us at 1051 W. Whittier Blvd. La Habra, CA. Sell your vehicle without the hassle! 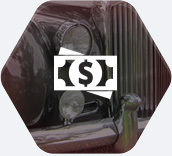 Take the legwork out of selling your car. 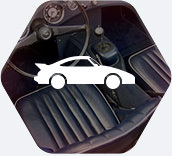 With Phil Newey Sports Cars, selling your classic car has never been easier. 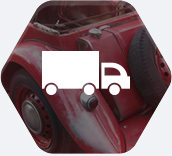 We’ll find a buyer and ship your vehicle, while you simply sit back and collect. Don’t let a buyer haggle you into a bad deal. Call us today and have your car sold and shipped internationally for top dollar. 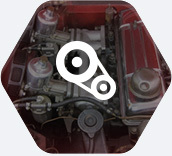 As an authorized distributor of Moss Motor products, we guarantee the lowest prices for all British automotive parts. We have been shipping with Shumacher Cargo Logistics for over 25 years. Schumacher Cargo Logistics has specialized in International Cargo Shipping since 1977. You can be confident that your goods will arrive at their destinations in the same condition you handed them over to us. Our safety records for cargo shipment delivery have exceeded all industry standards. Thus, whether you are moving household goods, a car, a vehicle, a boat, or general cargo, you will be comfortable knowing that Schumacher Cargo Logistics will take care of all aspects of your relocation needs. For more information on our auto transport and international shipping services contact us today or check out our moving tips and relocation advice. Direct Express, Inc. is located in Gardena California and has been serving your auto export needs for over 25 years. We have the capability, experience, and expertise in all areas of global transportation, oversized cargo, international car shipping, international moving, warehousing, distribution, and Customs clearance to ensure your program with us fits your needs. Our position as a global leader in freight forwarding is unrivaled and years of hands on experience allow us to provide you with a service that exceeds the industry standard and has satisfied thousands of customers already. Our rates are among the lowest in the field and we pride ourselves on offering outstanding and individualized customer service. Our highly skilled and dedicated staff will look after your shipment from beginning to end. DEI helps people and businesses to get the most competitive pricing for their needs and handles valuable and difficult freight with utmost professionalism and ease. 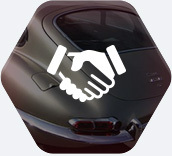 We make it easy to sell your car and it won’t cost you anything! We have years of established contacts, and high Business exposure all around the world. Our consignment is typically a 30 day contract, You give us a price and we will do our best to make sure you get what you want. Call 562-691-1109 or visit us at 1051 W. Whittier Blvd. La Habra, CA to get started.